During WWI Rupert was in the New Zealand Reserves and did not serve overseas. He continued to live in Avon with his mother and worked as shop assistant / indent clerk. On 3 May 1917, at the Registry Office in Christchurch, Rupert married Jessie Kate DIDCOTT. On the marriage registration Jessie indicated that she was two years older then Rupert. Photo right is of ‘Seg’ and Jessie. 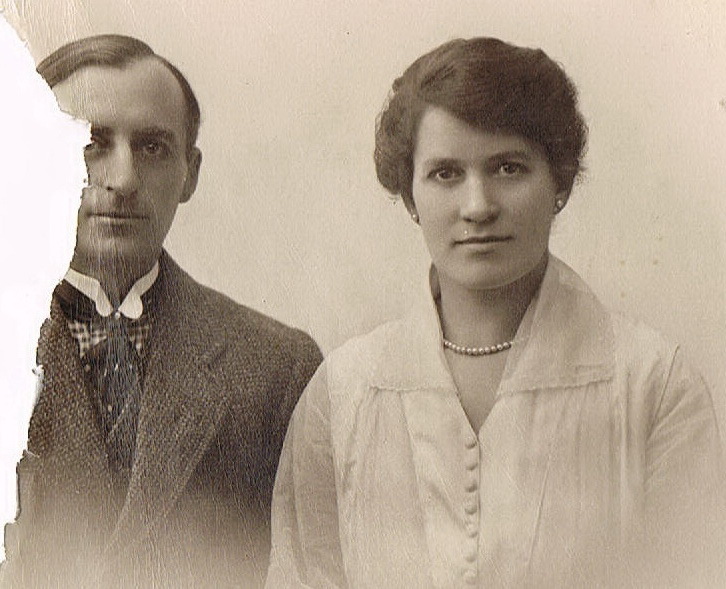 Unfortunately the photo is damaged, however it is one of the few photos of the couple from this era, about 1919. Perhaps this is their wedding photo, they are both looking very formal, ‘Seg’ particularly in a suit more formal than a shop assistant would normally wear? 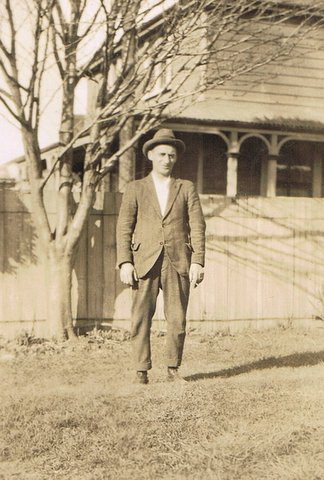 Jessie was born on 27 April 1882 at 2 Wrights Place Upper Easton, St. George, (near Bristol) Gloucestershire, England to Sidney (Sydney) DIDCOTT and his wife Emily. The 1891 census shows Sidney (36, shoemaker, born in Cardiff, Wales), his wife Emily (35, box maker, born in Bristol), and their three children: Jessie (8), William (7) and Emily (4). The family lived at 4 Clayton Street, ______, Gloucestershire. The family appears to have lived in relatively stable financial situation: they could afford the above studio photograph in Bristol. 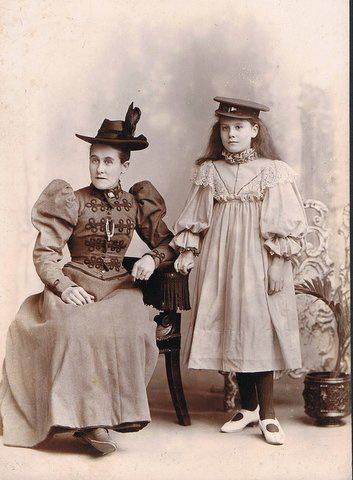 Photo above: Jessie and her mother about 1892, Bristol, England. Jessie, her mother and siblings William and Emily, appear to have emigrated from England to New Zealand in May 1900. Father Sidney is not with them according to the ship’s manifest. Perhaps he traveled to New Zealand before his family and sent for them later? Research has not yet shown where the Didcott family lived from their arrival in New Zealand in 1900 and Jessie’s marriage to Rupert in 1917. Photo right: Jessie, before her marriage to Rupert? After their marriage Rupert and Jessie lived with his mother Alison in Avon, near Christchurch until Alison’s death in 1920. 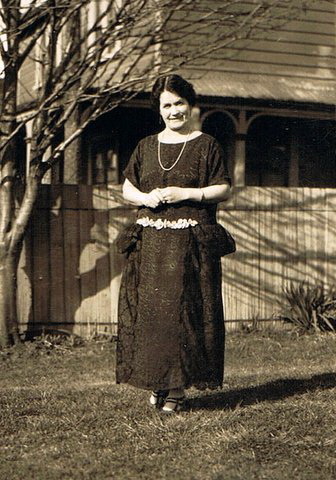 By 1928 Rupert and Jessie moved to Auckland and for the next ten years the couple lived at four addresses as Rupert worked variously as a buyer, manager and commercial traveler. 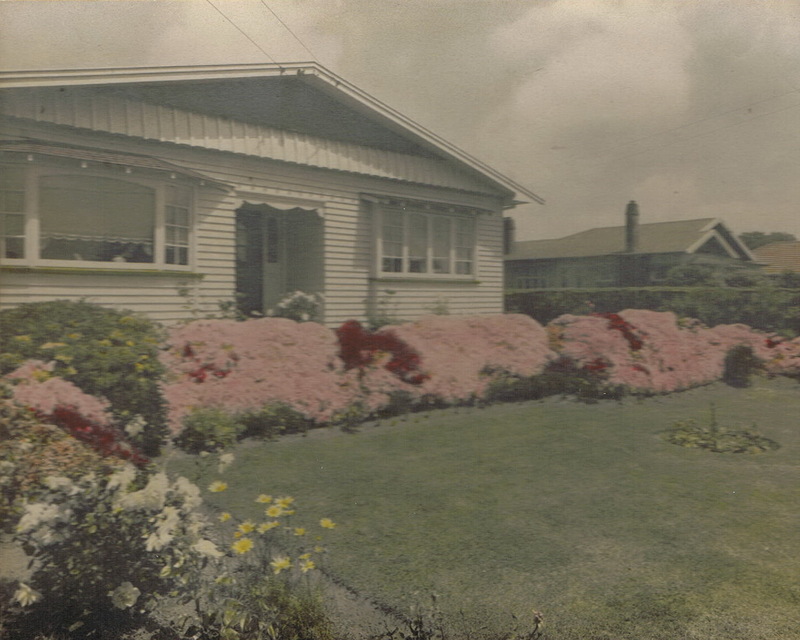 By 1938 they had returned to the South Island and for the next 21 years they lived at 58 Opawa Road in the Christchurch suburb of Sydenham. Rupert died in 1959 aged 73 years. He did not leave a will. After Rupert’s death Jessie continued to live in their home. One thing that is immediately noticeable after Rupert’s death is that Jessie reported her name as ‘Jessie Kate’ not the more formal ‘Jessie Kathleen’. After her husband’s death, all Jessie’s records (Electoral Rolls, her death notice, and register at the Christchurch High Court Probate) are all listed as Jessie Kate. It’s as though she was saying “This is the name my parents gave me and it’s the name I want to be known as”. Jessie died in 1966 at age 84. Her will is registered in the Christchurch High Court, Christchurch; it has not yet been checked. The couple had no children; however it appears that the couple enjoyed frequent visits with extended family. Gradually the story fragments come together allowing Uncle Seg and Jessie to tell theirownstories so that they will not be forgotten.